Are you interested in joining the Hāmākua Community Development Plan Action Committee? The County of Hawai'i Planning Department is seeking qualified applicants for the Hāmākua CDP Action Committee. Action Committee members should be community-minded, reflect a wide variety of perspectives, and represent a broad spectrum of the community. The Hāmākua CDP (Bill 161) has been adopted by County Council! Please follow the link above to find past and current meeting records and information about the Hāmākua CDP Action Committee and its subcommittees. This link also includes maps and other learning resources. 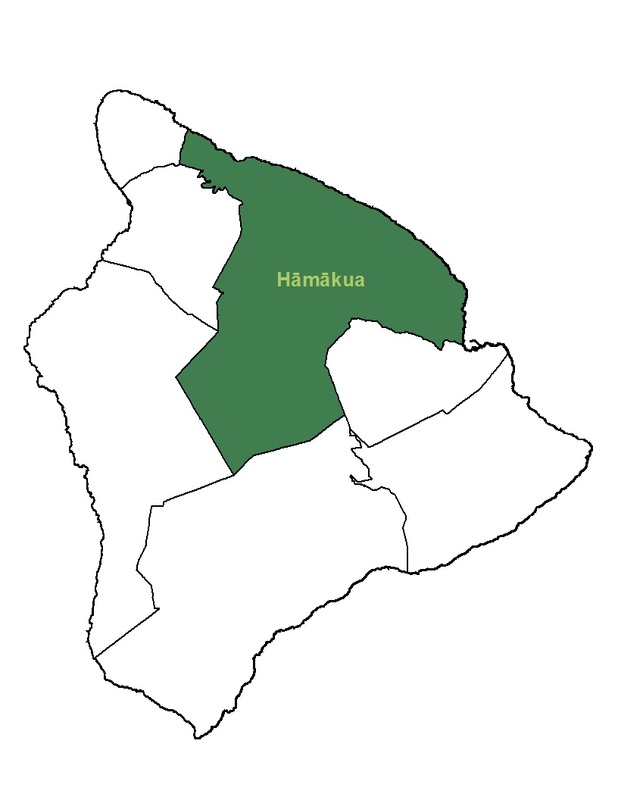 Located in the northeastern portion of the Island and County of Hawai'i, the Hāmākua CDP Planning Area encompasses the judicial districts of Hāmākua, and North Hilo, and a portion of the South Hilo district commonly referred to as Rural South Hilo. The planning area includes the communities of Waipi'o Valley, Kukuihaele, Honoka'a, Ahualoa, Kalopa, Pa'auilo, 'O'okala, Laupahoehoe, Papa'aloa, Ninole, Umauma, Wailea, Hakalau, Honomu, Pepe'ekeo, Papa'ikou, Pauka'a, Wainaku, Kaiwiki, and other small communities in between. The Hāmākua CDP must address each element of the County General Plan as they apply to the District of Hāmākua. This includes a combination of land-use amendments, policies, budgetary items, public-private partnership building, and community-based implementation activities that are needed to accomplish many kinds of goals. The Hāmākua CDP email list is for announcements relevant to the Hāmākua CDP. It is a low-volume list for announcements from the Hāmākua CDP project manager. It is not a discussion list, and only the project manager can post announcements to the list. This list is private and non-commercial. The list administrator will not provide your email address from the list to any other person or entity for any reason.